Just listed a 30 acre farm built by professional horse people. 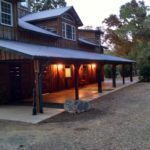 More and more horse people are designing their living accommodations and horse facilities for convenience and functionality. A new word, barndominium, is now being used by builders in the equine industry. This style of home combines the most important aspects of the horse person’s life and the Circle B has done just that. 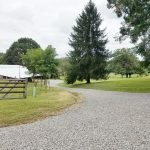 This farm has it all: approximately 25 acres in established pasture; a newer 3/2.5 energy efficient home; an attached workshop designed to accommodate your living quarters trailer; four 12×12 stalls and a large arena. Click here for details. Even when working with a Realtor just about everyone uses the internet for independently sourced information on available properties. And there’s a lot of information out there from sites such as Zillow, Trulia, and Realtor.com. These sites have lots of good information. Unfortunately some of it is inaccurate. Certainly this is not intentional on their part. These sites pull their information from other sites such as the multiple list services and tax assessor data. Since this is an automated process, sometimes not all information is pulled correctly nor is the information always complete. These sites know this. As an example, Zillow with its Zestimate of property values includes a major disclaimer and suggests that its information is only a start. Horse properties with acreage are particularly susceptible to inaccuracies for a couple reasons. First, many horse properties have been divided into different parcels for financing reasons. Those properties may have several tax records i.e., one for the home on limited acreage and another for the land. Any site that gathers the tax assessor information may be only reflecting one parcel, not the entire property. This affects the displayed annual taxes and any evaluation made by that site. Secondly, the land value indicated in the tax records may not reflect current market value of the property based on recent sales in that area. It is highly unlikely that the local tax assessor adjusts land values on a frequent basis. Thirdly, there are hundreds of multiple list services from which these sites pull information. If the local MLS doesn’t pass barn/stables information to these sites then the horse properties will not come up on advanced searches that include barn/stables criteria. In short, these sites are more well suited for sub-division type properties than they are for rural properties with outbuildings and acreage. 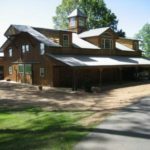 A couple sites that I particularly like for rural properties are www.landandfarm.com and www.landsofamerica.com. These sites get their information directly from the seller and have data fields within the site suited to listing features of importance to the prospective buyer. However, even with these sites, remember that the information you get through your internet search is just a start. If you see a property that has any appeal to you, contact the seller to verify what you’re finding. As they say, get it straight from the horse’s mouth. 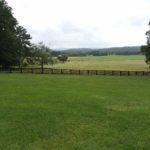 I recently came across this incredible horse estate in North Georgia. Try a 3500 sq ft ranch style home and state-of-the-art show barn that resembles a mountain lodge on 79+ acres of level pastures. 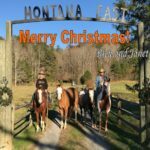 Take in the gorgeous views of north Georgia mountains while watching your horses graze. This super property can be yours for $869,000. Text/call me at 770-289-7272 for details. 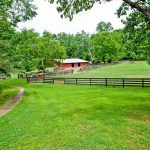 If you’re looking for a horse property that has it all, you need to check this one out! The Cagle family name has been a large part of Pickens County history practically since its inception in 1853. In fact, a section of southern Pickens County continues to be known as Cagletown by many of its older residents. Laura Lane Farm is a large part of that Cagletown history. 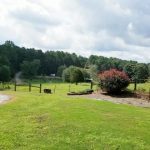 This 60 acre farm situated along Sharp Mountain Creek in south Pickens County just north of the Cherokee County line was owned by members of the Cagle family for more than 100 years before it was purchased by Roger Harington in 1981. The farm land was originally purchased by Peter Cagle in 1871 and he built the small farm house in 1875. He and his wife, Martha Emilene, had 11 children the youngest of whom was Peter Sherman Cagle who was born in 1893. Sherman lived his entire life in that house and overtime added several rooms to the house and, in 1953, he veneered the outside walls with split-faced marble mined locally in Pickens County giving the outside its current look today. During the Cagle years the farm had cotton and corn crops, poultry houses, and raised Angus cattle. Today, the poultry houses are used for hay and equipment storage. The current owner, Alex McArthur, continues to run cattle on the property while he remodels the old farm house. This wonderful property is rich in local history. 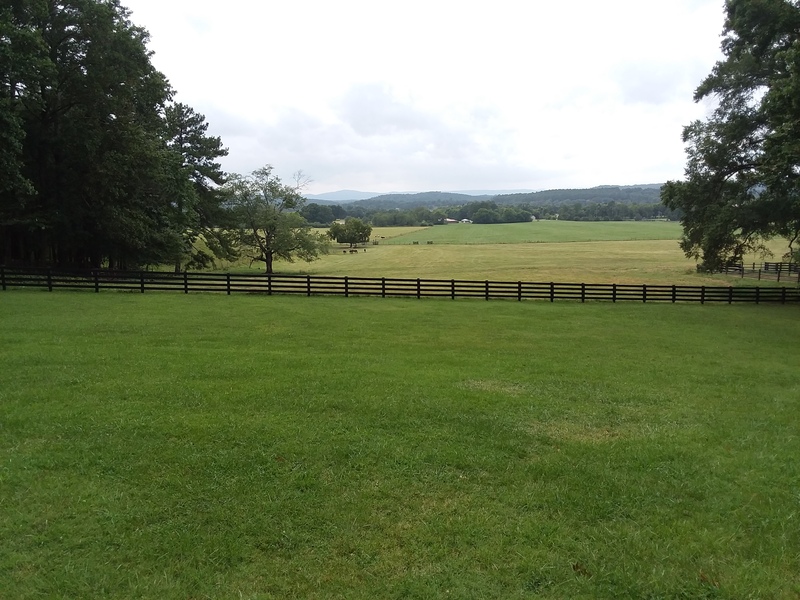 Today, sitting on the back patio which overlooks the pasture land with the cows grazing and the hay fields being cut, it is easy to imagine the stories that can be told about this historical property. With ownership of this farm comes the thrill and responsibility to be a steward of the land protecting the Cagle legacy. Click Here for details. Both the home, which is approximately 10 years old, and the equestrian features of this property are outstanding. 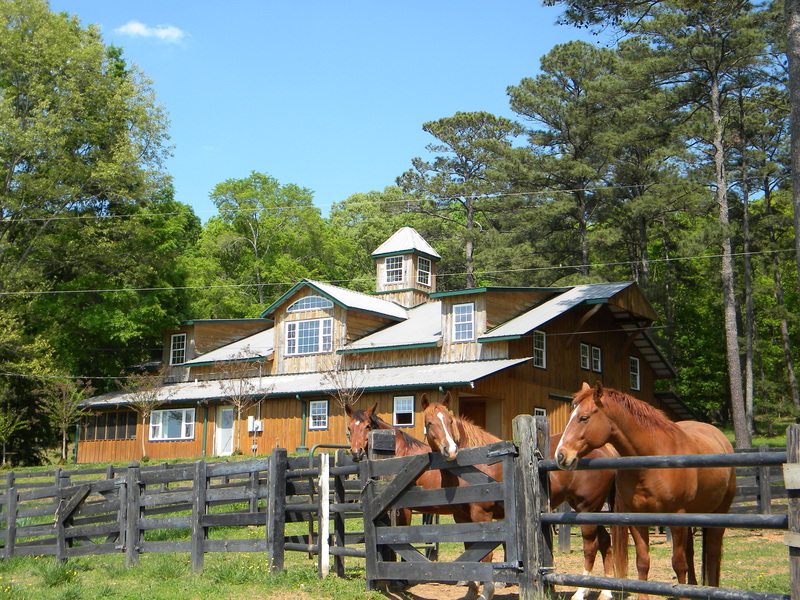 Located in Pickens County just an hour north of Atlanta, this horse farm has it all. Click here for details and click here for a video of the property. A friend has just put her horse farm on the market. 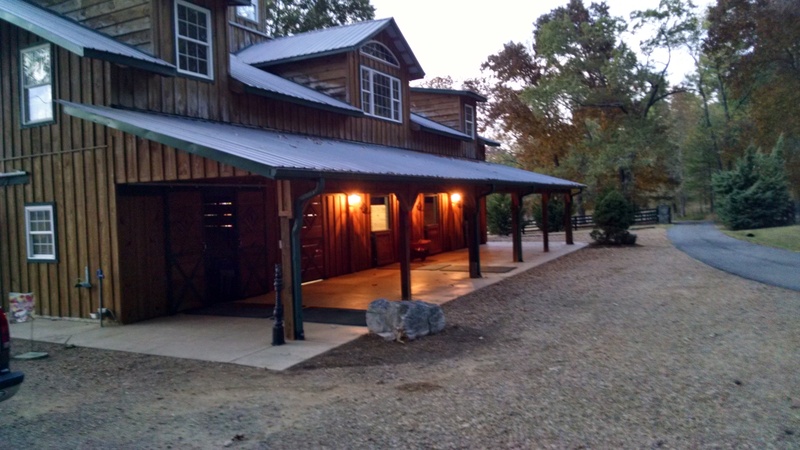 It’s a full function horse farm that offers a very comfortable lifestyle. I’ve been there several times and can vouch for the quality of the property. 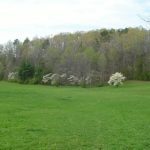 It is located on a nice country road less than a mile from Highway 53 and close to several trail heads including Dawson Forest, Fausett Farms, and the Jake/Bull Mountain trails. Click below for details. 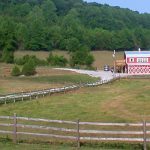 Located in middle Tennessee on the Cumberland Plateau this 45 acre horse farm also has a special events facility and 5 rental cabins. 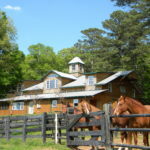 It’s perfect for someone who wants to combine country equestrian living with income producing activities. Click here for details. It took a couple months , a real estate broker test, fingerprinting, several notarized documents, and a background check, but I’m finally licensed to sell real estate in Tennessee. 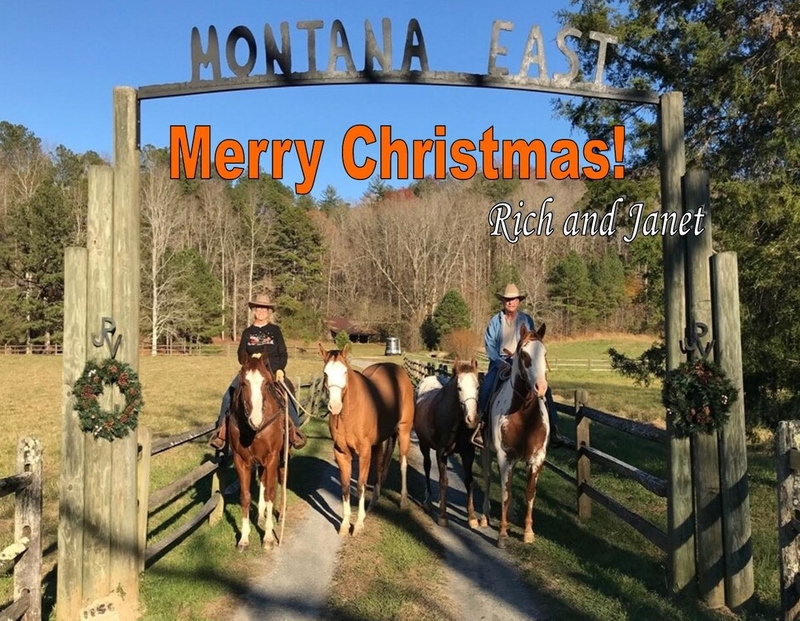 Over the years several people have asked me to help them sell their horse farms located across the Tennessee border from Georgia. Finally, I can do so. Hallelujah! Looking for acreage that has level pasture, year round creek, trails, end of the road privacy, convenience to retail outlets? Check out the 30 acre parcel listing on Pickens County page or just click here.